It has been quite some time since my last Nutrisystem post. As a lot of you know, I have been going through a pretty rough time, with a few personal family, and healthy related issues. Thankfully, everything is finally straightening out, and it is definitely time to get back on gear with Nutrisystem! 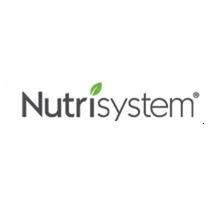 Since my last Nutrisystem post, there has been a new Nutrsystem program released. It's called Nutrisystem Success. I actually haven't made a food order since Nutrisystem Success started, but I hope to have my first Success order, very very soon. I did however get to try a few of the chef inspired meals! This week's post will be a little different - I had quit my Nutrisystem diet for a while, and while I did gain a bit of weight back, I am happy to say, it was not a significant amount. When first starting my Nutrisystem journey, I was thrilled (and I still am thrilled to be a part of it!) but I was terrified of what would happen once my journey came to an end. My journey still isn't over, but during my little break, I got to experience first hand, what it would be like, to not be on Nutrisystem. I struggled a little, and of course I did snack on things that I probably shouldn't have.. But... In the back of my mind I always thought of Nutrisystem, and how it taught me the right portions, and things to eat as extras. After several weeks of not being on Nutrisystem, I have only gained 6.2lbs. (Bringing my total weight loss back down to 42.2lbs) I wasn't honestly trying to follow everything I ate, and I didn't. I had too much on my mind, and just couldn't think about that, during that time. So I am honestly proud! I know that once my Nutrisystem journey does end, I will be good! When that time comes, I will be more focused, and I truly believe I will still succeed :)! But.. Like I said, my journey isn't over! I still have a few months to go! Since it has been so long, I won't share my favorite meals for the last week I was on Nutrisystem. Instead, I will gladly share some of the absolutely delicious Chef's Table entrees with you! This was absolutely delicious! I honestly didn't think I would like it. I am admittedly, not the biggest pork fan. The flavors and spices used in the dish though, were just perfect! This dinner was literally, melt in your mouth good! I have to admit, this dish wasn't my favorite. Don't get me wrong, it wasn't bad, and I still ate every last bit of it, but the flavors were just extremely different to anything I'm used to. I think maybe Moroccan food just isn't for me. The flavors were very distinct, and I think it would take a little getting used to. Can you say delicious!? These crepes were AMAZING! I cannot believe, that there are part of a diet! Never in a million years, would I imagine a food tasting that good, actually being good for you! The flavors literally burst in your mouth... My mouth is watering just thinking about them - I really, really hope I get the crepes on my next order :)! For now that's it, but stay tuned for next weeks post, and hopefully, within the next couple weeks I will also be starting Nutrisystem Success, which I can't wait to share with all of you! I am so glad to see you are back!!!! !